Restrictions limit the way the iPad can be used. For example you are able to turn off the default browser, Turn off Youtube access, iTunes, and the installation and deletion of Apps. The restrictions are protected through the use of a passcode. This passcode must not be forgotten as it is the only way to access these settings after it has been set. Once this has been set, it is recommended that you back up the iPad. By backing the iPad up now, you are able to restore the iPad along with the restrictions passcode at a later time if required. Students don't need to use the iPad all the time at home. Ensure that your child balances their time using technology with other things in their life. Children need their sleep, so we strongly suggest that the iPad is NOT TAKEN TO BED. If you are experiencing problems, we recommond that you specifiy where in the house the iPad can be used and where it is to be stored when not in use. Talk about the Internet activities openly and freely. Have your child use the iPadin a shared family area where you can monitor how long your child is online as well as the websites our child is visiting. Check the history in Safari or any web browser they may have used. If you are experiencing problems with your child/children being off-task while completing homework/study time there is the option of setting up Guided Access. Guided Access helps the iPad user to stay focused on a task while using your iPad. Guided Access limits your device to a single app and lets you control which app features are available. Mobile phones and other digital devices have access to the Internet, so these devices need to be monitored also. Ask your children to demonstrate the way they use their ipad for school. Ask your children to teach you how to use the iPad. Focus on the positive aspects of the Internet when you are sharing the experience with your child. Spend time looking together at sites that are fun, interesting or educational. Encourage your child to question things on the Internet e.g "Who is in charge of this site? ", "Have I found information, or is it just opinion?" or "Is this site trying to influence me or sell me something?". Have a play with the iPad and apps by yourself to better understand how they work. Explain to your child that not all information on the Internet is good, true or helpful, and that some areas are not intended for children to see. Help your child identify unsuitable material by naming some things to look out for, such as sites that contain scary or rude pictures, swearing or angry words. 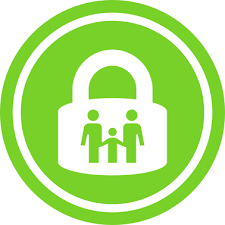 Empower your child to use the Internet Safely by showing your child safe sites and explaining whey they are safe. It is also important to educate your child on why it's not safe to give out any personal details online. Parental Controls are available on the iPad, if needed. These restrictions will only work on downloaded iTunes music, games and apps. Restrictions will not restrict or block inappropriate websites when using Safari or any other web browser app. Parental Controls are available on the iPad. However, they can block iPad features that may be needed at school.